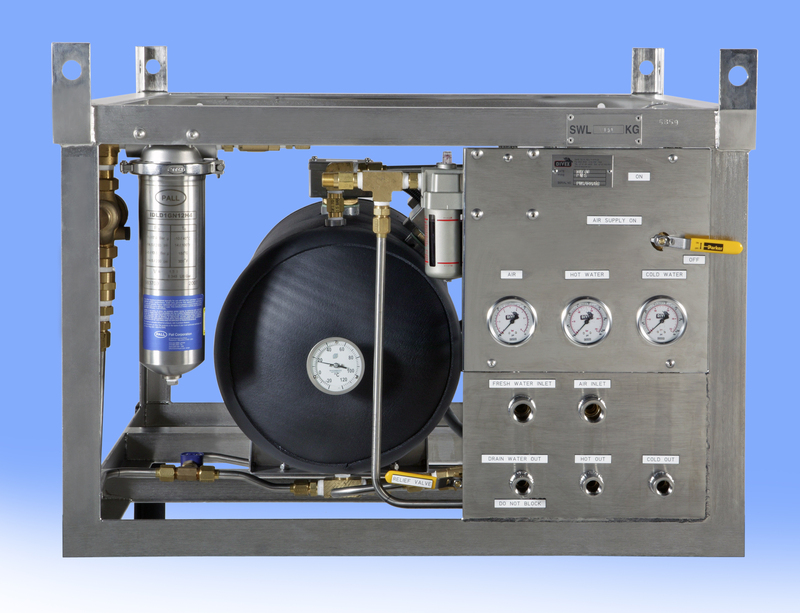 JFD's Kinergetics PWS-01 potable water system provides a simple, reliable, fully automatic self-contained source of hot and cold domestic water for saturation diving systems. 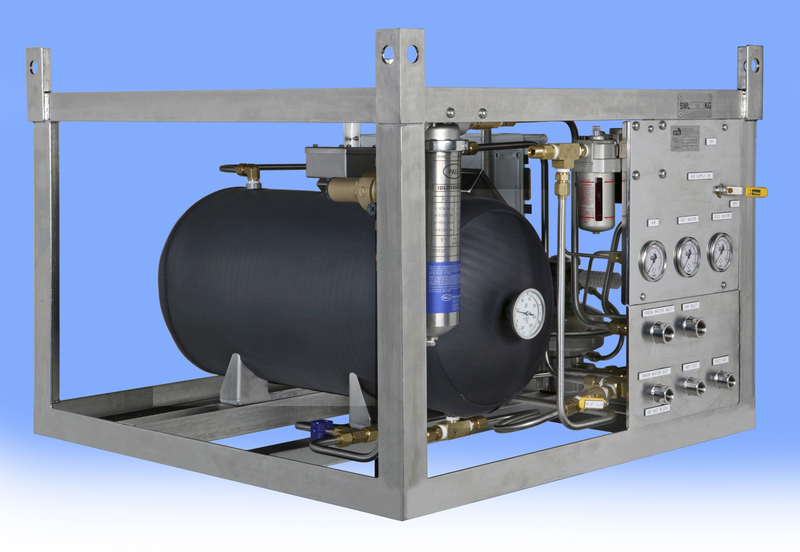 The system uses air-powered ratio pumps for constant pressure ring main (or direct) supply and only delivers on demand. 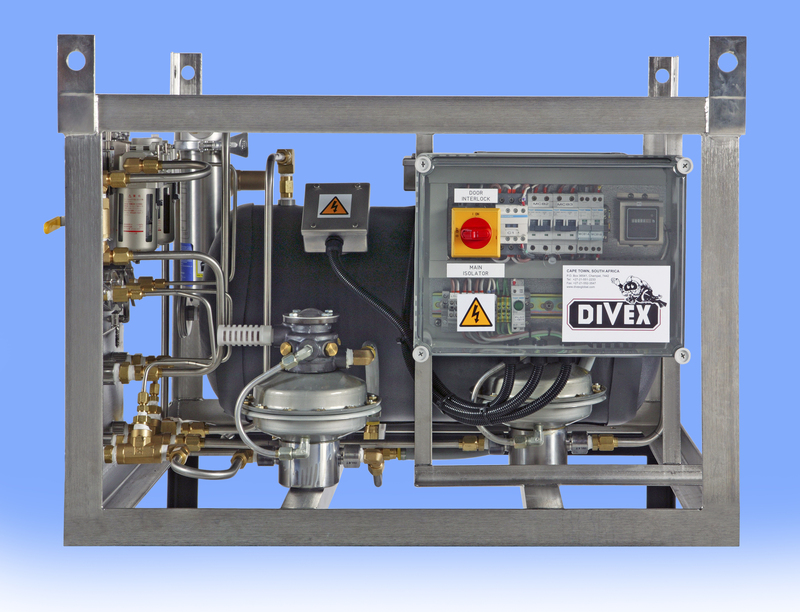 The pumps stop cycling when equilibrium pressure is attained. 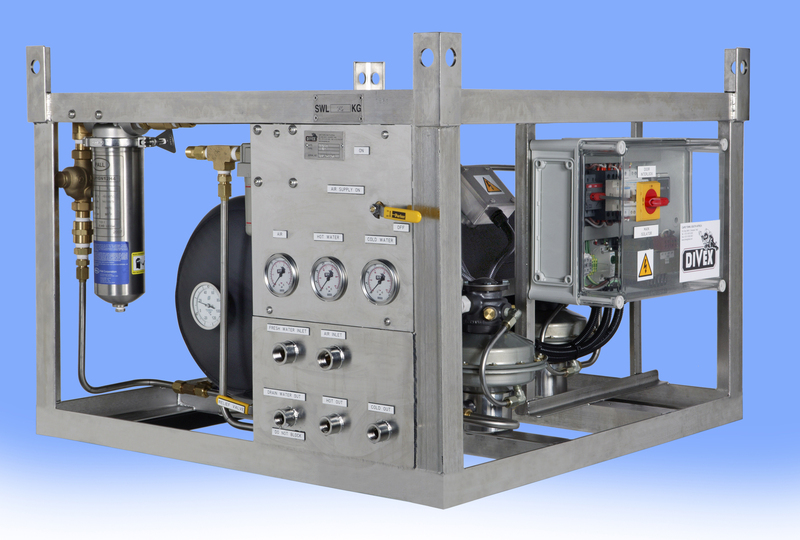 By using local depth-tracking regulators, the system will also supply chamber compartments at different depths.